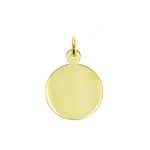 Add a touch of feminine beauty gold jewelry with sensational 14kt yellow solid gold personalized laser engravable oval charm. 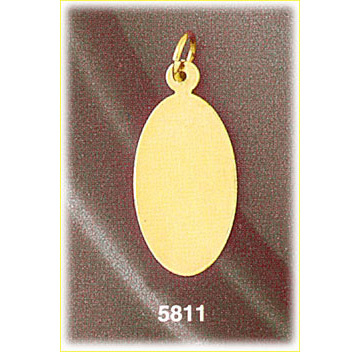 Shining 14k gold blankets the surface of this gold oval charm with its warmth and dynasm that enlivens any custom sentiment you choose to have laser engraved onto the front and/or back of the charm. 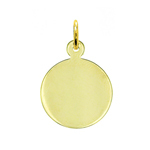 An optional birthstone setting allows you to personalize your engraveable charm even more. 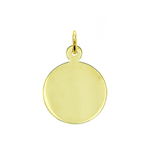 Pendant is crafted in 14k yellow gold featuring a polished finish with flat back, it measures approximately (14mm - 1/2") in width by (22mm - 7/8") in height and weighs 2.1 grams, it is recommended for necklaces.